This experiential storytelling space weaves together the past, present and future to illuminate the humanistic outcomes of philanthropy. 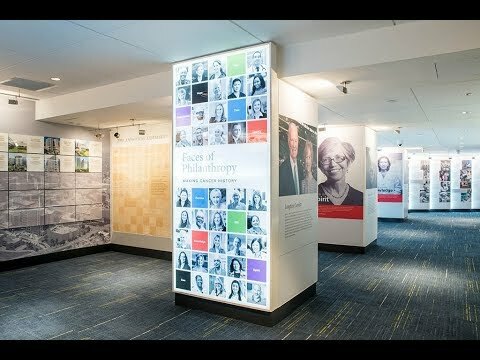 Drawing on MD Anderson’s brand attributes, the team designed an experiential space that communicates the story of philanthropy aimed at eradicating cancer. The culture and competencies of MD Anderson also are evident. The exhibits reference historical successes, timely contributions and future possibilities. The media includes passive exhibits, broadcast video and interactive screen content. Take a virtual tour of MD Anderson’s Faces of Philanthropy exhibit, a permanent installation created by HOK Experience Design in Houston.